Getting involved with the Jersey Blues is a great way for family members to participate without being in the field. 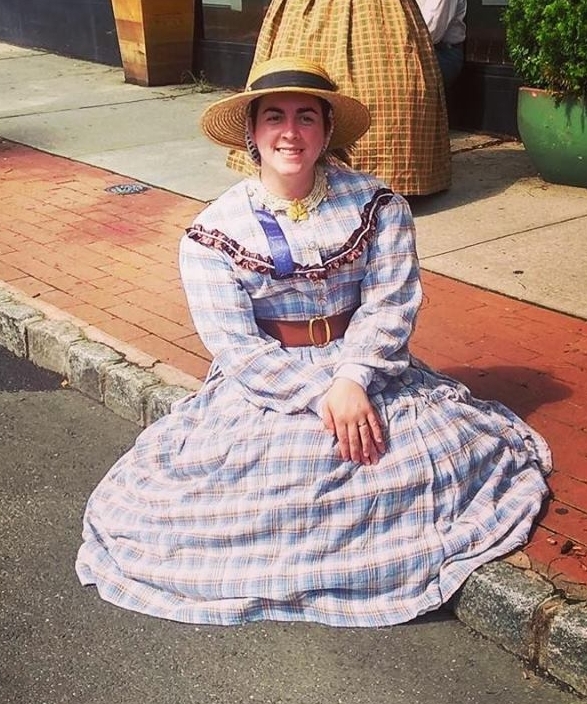 We encourage spouses and children to dress in the period, demonstrate a historic skill, and help bring our camp demonstrations and living history programs to life! Civilians are typically paramount for our living history programs or parades. If you are interested in joining, but don't have any materials, don't worry. The Jersey Blues offers a collection of historic outfits to borrow for women and children who are just getting started in the hobby. Try an outfit, and come out for an event to see if you enjoy it. Contact Civilian Coordinator, Abby Belcastro, to join the Jersey Blues.